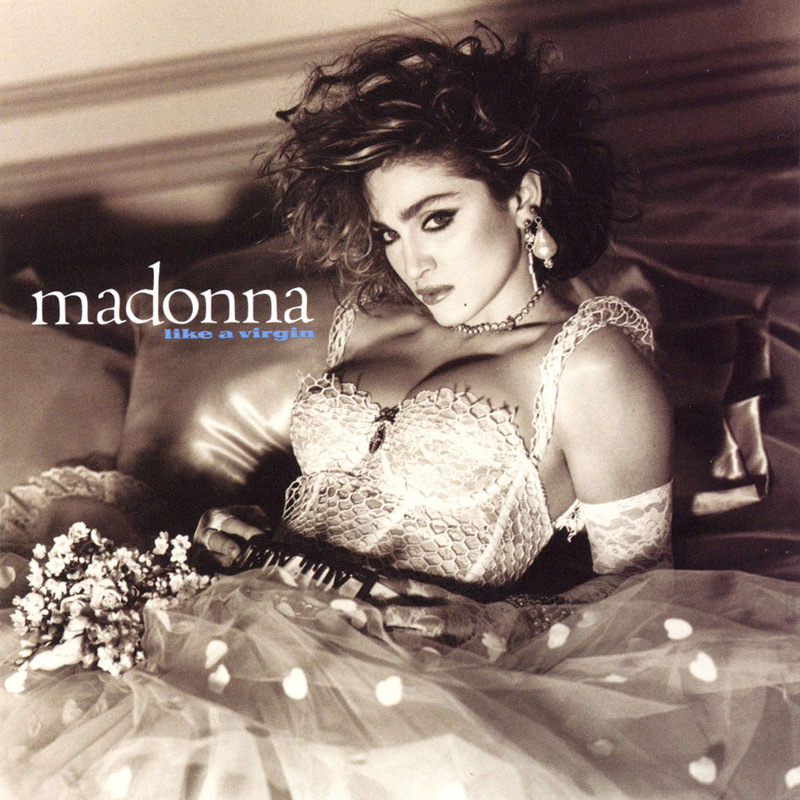 When Madonna released her first album in 1983 she already had enough material for another album. But because of the success of that first album it wasn't until November 12, 1984 that Madonna released her second album Like A Virgin, which would soon become a big hit. She chose Nile Rodgers as producer of the album. Their collaboration worked very well and together they built on the image and sound that Madonna had created with her first album, which was very much disco- and pop-oriented. The first two singles would become landmarks in her career. Like A Virgin was her first #1 hit; the song and the video were a clear representation of Madonna's image at the moment, full of sexual ambiguities. Memorable was her performance of the song on the MTV Video Music Awards, crawling on the floor in a wedding dress. The second single Material Girl was inspired by the glamourous looks of diva's from the fifties, in particular Marilyn Monroe; in the video Madonna wears an exact replica of Monroe's dress in 'Gentlemen Prefer Blondes'. Originally Into The Groove wasn't included in the album. Released from the movie Desperately Seeking Susan it became a huge hit, so it was included in the European re-release of the Like A Virgin album in 1985. In 2001 the album was remastered, having the original tracklisting without Into The Groove but including extended dance mixes of Like A Virgin and Material Girl as bonus tracks. The album - dedicated to all the virgins in the world - was her first to hit #1 in both the US and the UK. It also got to #1 in Germany, #2 in Australia and France, and #3 in Canada. In 1998 it received the Diamond Award (the highest certification given by the RIAA) for sales of 10 million US copies. Only The Immaculate Collection equaled this success. Worldwide the album sold more than 20 million copies. However, the critics were not really convinced of Madonna's skills and described her as an 'unimportant annoying one-hit-wonder' with a voice similar to 'Minnie Mouse on helium'. Also at the award shows Madonna was left in the cold; although she did get some nominations at the MTV Awards, she lost out on each one of them.